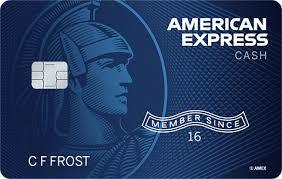 The Cash Magnet Card from American Express offers an introductory 0% APR on purchases and balance transfers for the first 15 billing cycles made within the first 60 days of account opening. For a large purchase or bill a new cardholder can save hundreds or in some cases over a thousand dollars in financing charges over a 15 month period. Here are two examples of the interest a new account holder wouldn’t have to pay during the introductory period. To avoid paying interest charges any balance must be paid in full within 15 months of getting your new card. Even if you don’t make such a large initial purchase, American Express rewards you with an extra $150 bonus on spends over $1,000 within the first 3 months on top of the normal 1.5% rewards for each purchase. Should your total spend reach $6,500 or more in the first 12 months, then American Express rewards you with an additional $100 rebate. With the holiday shopping season coming up the Cash Magnet can spread the cost of gift-giving over most of 2019, and reduce the bills by $1.50 per hundred plus the $150 to $250 if you’re really generous. In addition most of the items you buy for yourself or others carry these protections when you keep all the proper documents (especially receipts). These benefits come in handy if your items or gifts need to be exchanged, get damaged or stolen, or just to keep records of purchases for future reference. Best of all there is no annual fee and you’re protected from unauthorized charges with the zero liability policy.